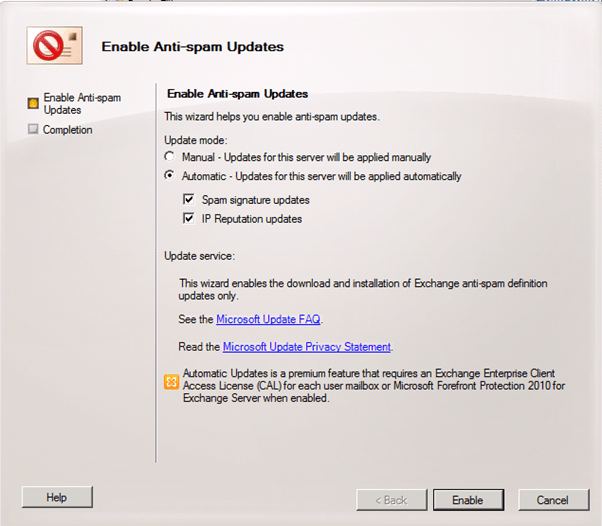 ;Answer: In Exchange 2007 Microsoft introduce a new and free Anti Spam feature that protect Exchange server. 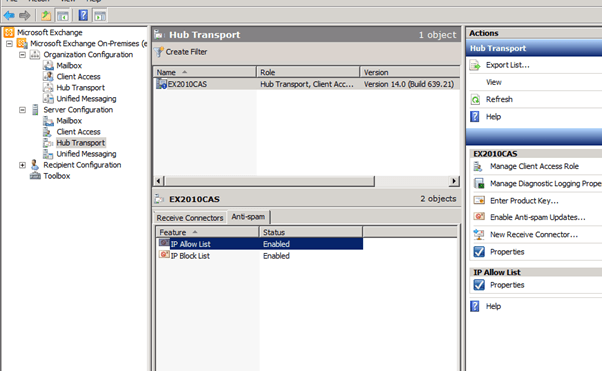 After using the tool with Exchange 2007 I have to say that its doing a great job and it is highly recommended to use it. 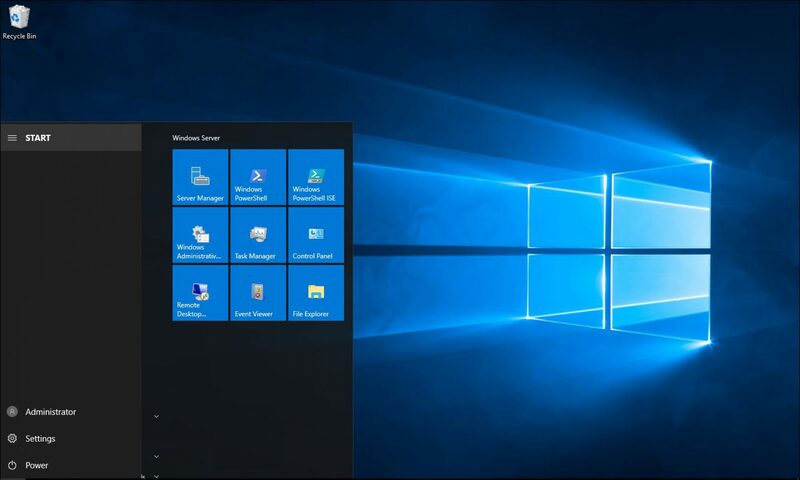 By default the Anti-Spam feature is enabled if you are using an edge server if not you have to enable it before using it. To view the new Anti-Spam feature, Open Exchange EMS -> Server Configuration -> Hub Transport and you will see the Anti-Spam Tab. Let’s enable the Anti-Spam updates. 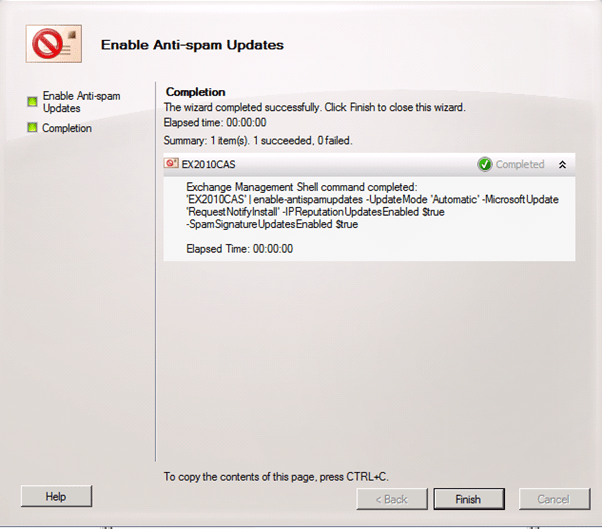 Go to Exchange EMS -> Server Configuration -> Hub Transport and in the Right Action Menu Click on Enable Anti-Spam Updates. 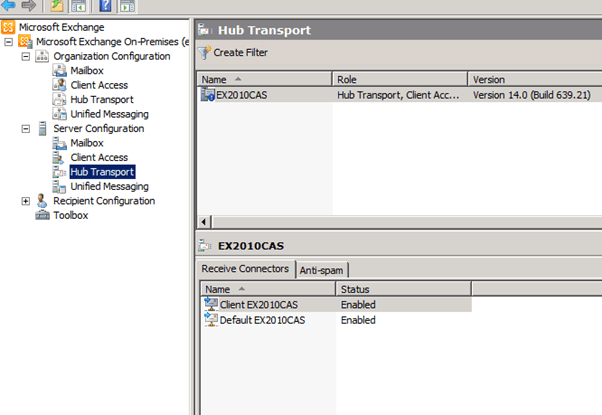 Exchange EMS -> Organization Configuration -> Hub Transport and click on Anti-Spam Tab.